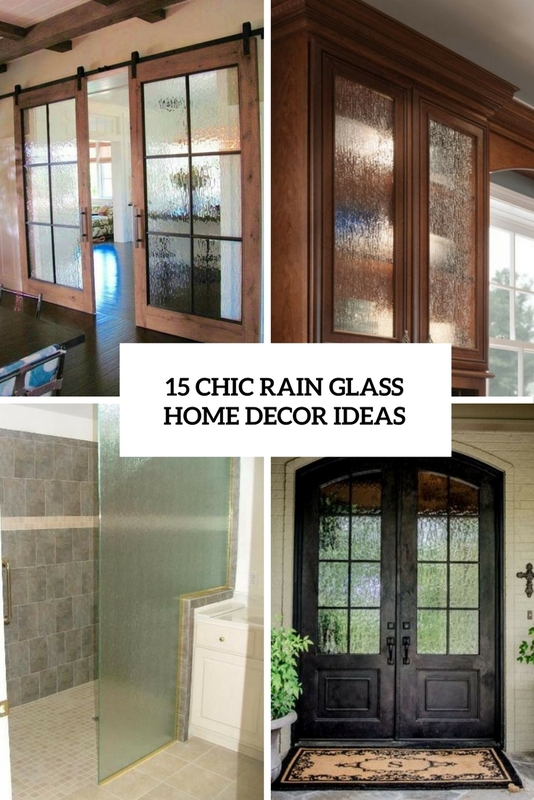 Rain glass is that cool kind of glass, the texture of which reminds of the rain, and which is sheer yet not transparent. 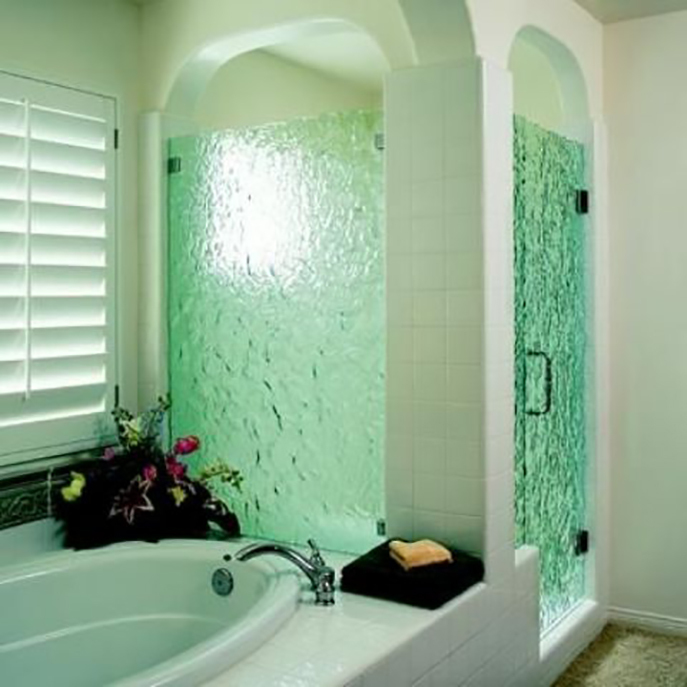 It can look cool and eye-catchy in your home if you know how to use it right, so today I’d like to inspire you with some cool ideas. 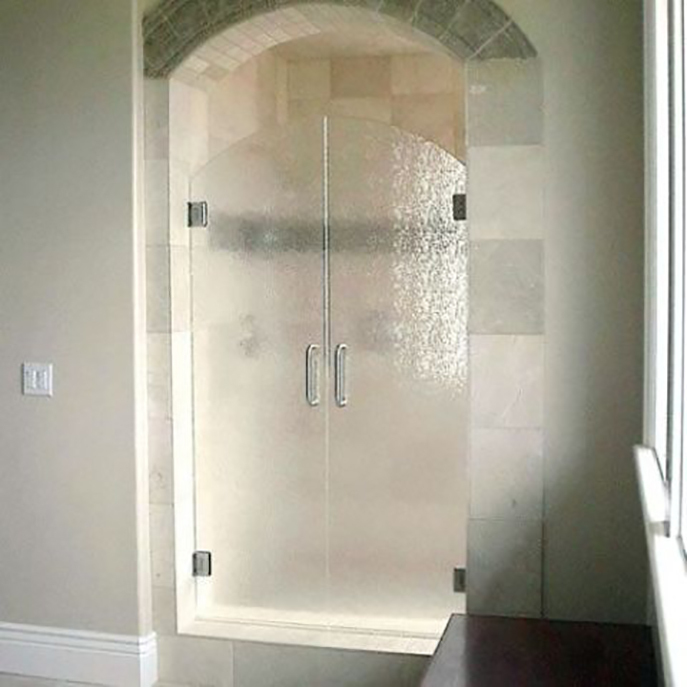 Rain glass is loved so much not only for an unique look but also for being opaque, which means that you’ll automatically will get some privacy. 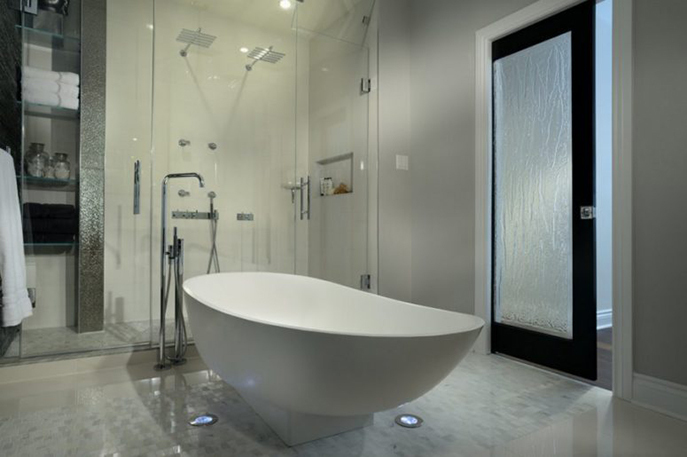 Such functions are essential in bathrooms, especially big ones in case you want privacy while taking a shower or a bath. 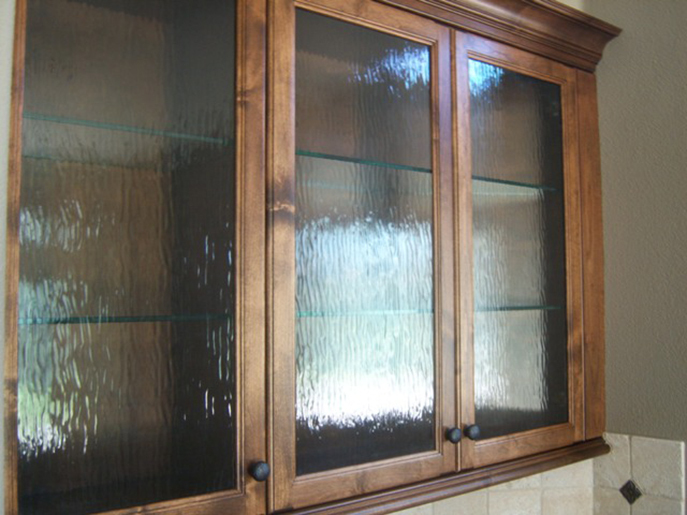 Make rain glass doors or sliding panels or the color that you like and you’ll have it. 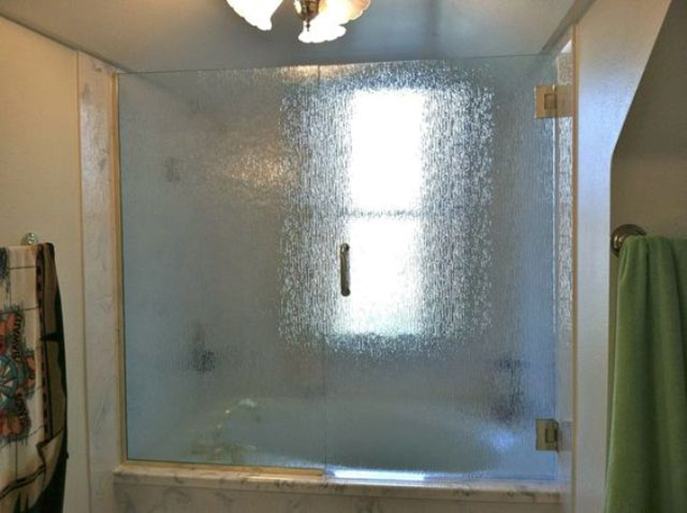 Besides, glass, even rain glass, is transparent to some extent and won’t make your bathroom look smaller. 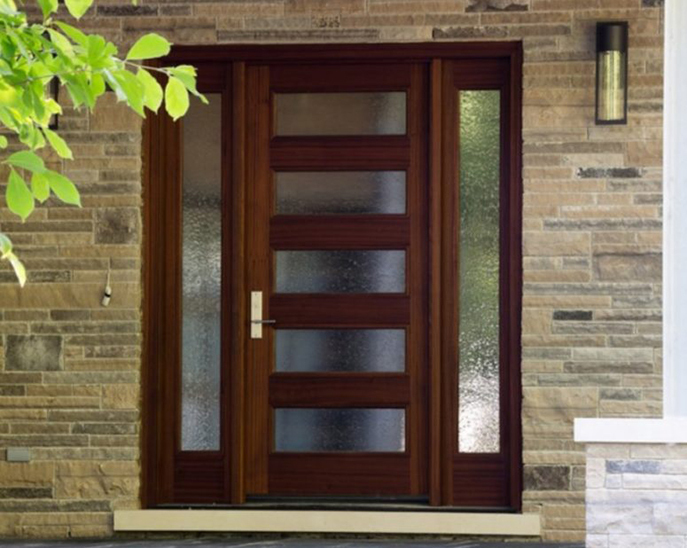 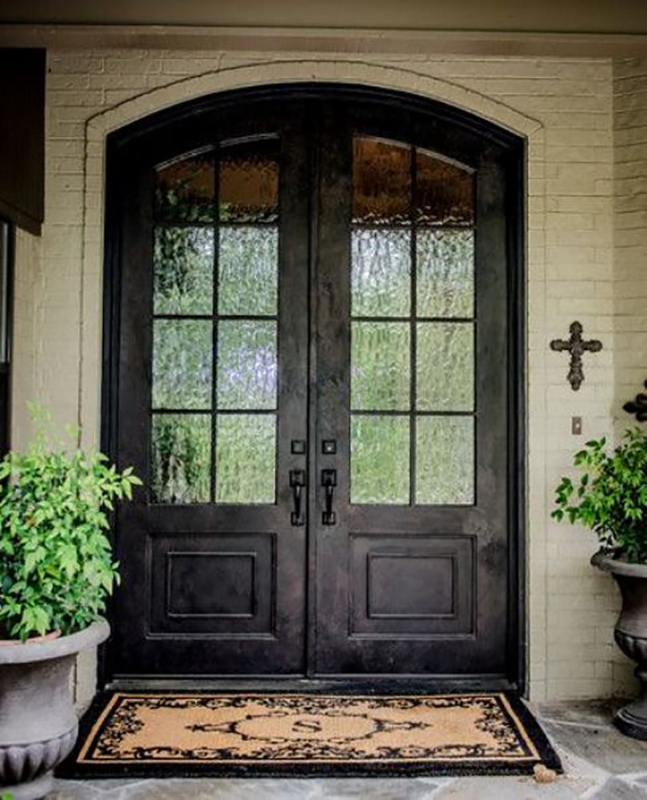 Whether these are front doors or just usual interior ones, you can always make them with rain glass because this is the best way to keep privacy yet get enough light inside. 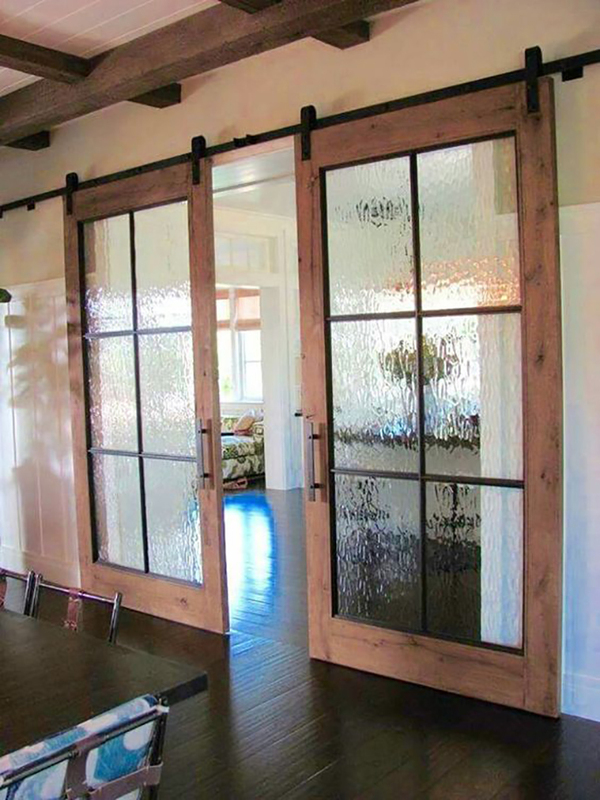 Besides, such doors inside your home will separate the zones better than usual glass. 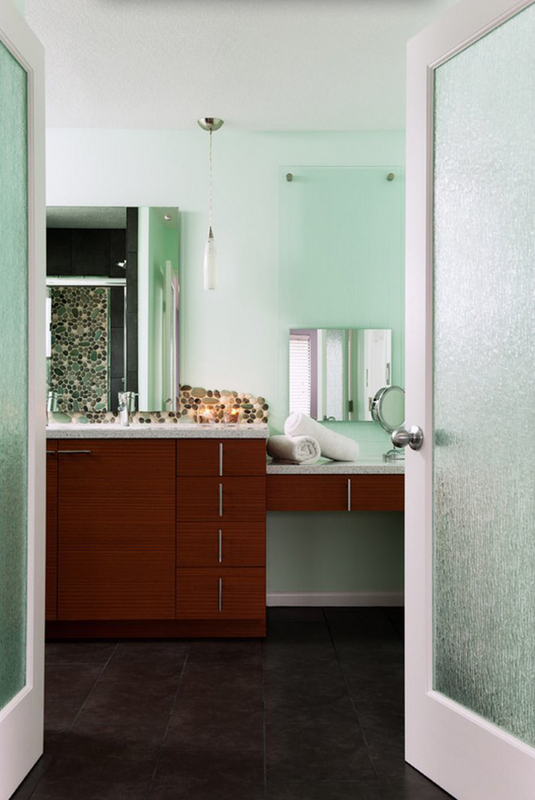 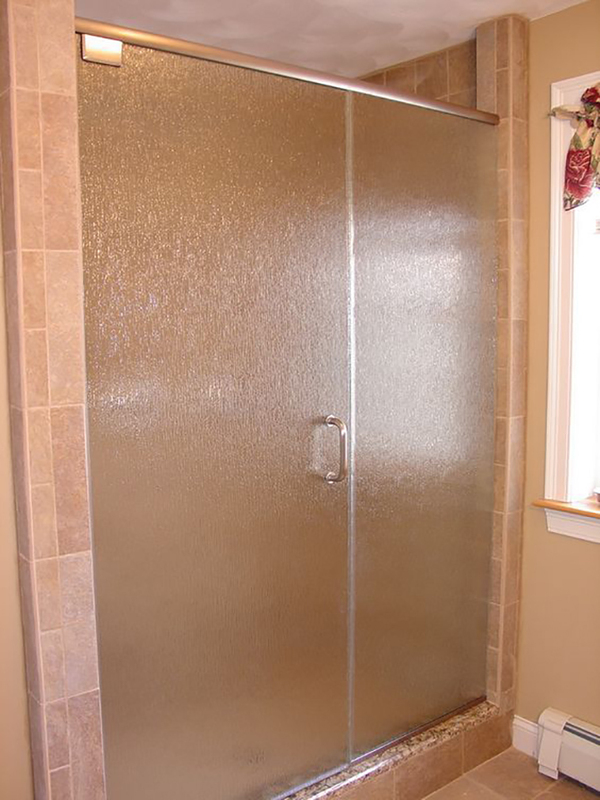 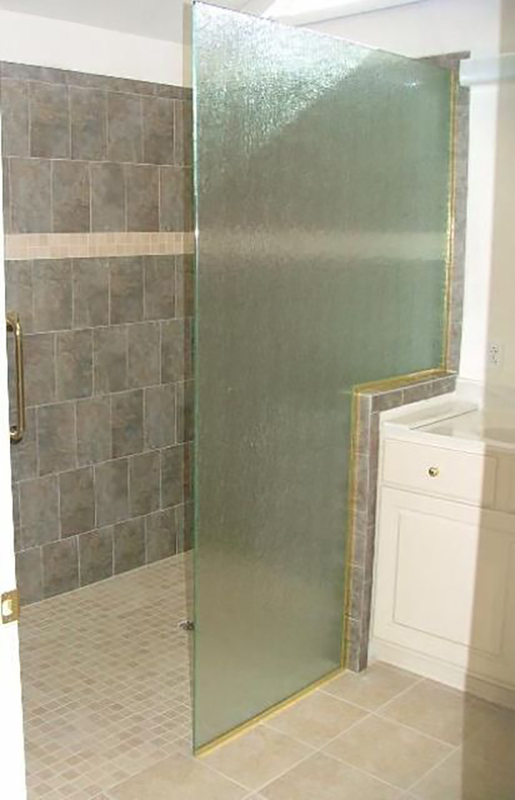 Highlight your bathroom area with a cool green or blue rain glass door! 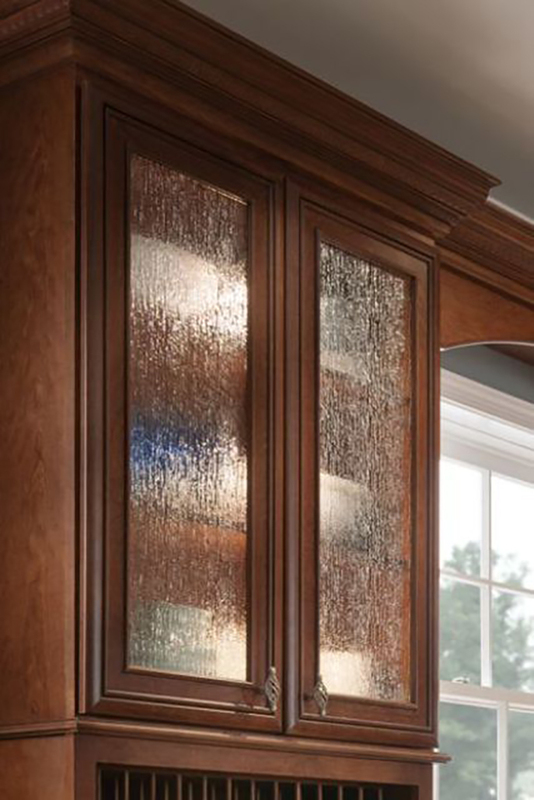 Rain glass on cabinet doors will make them more refined and this idea is often used for cupboards or other dish cabinets. 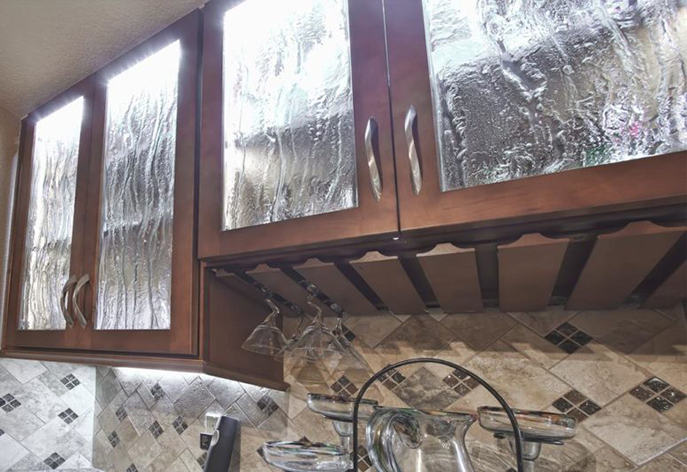 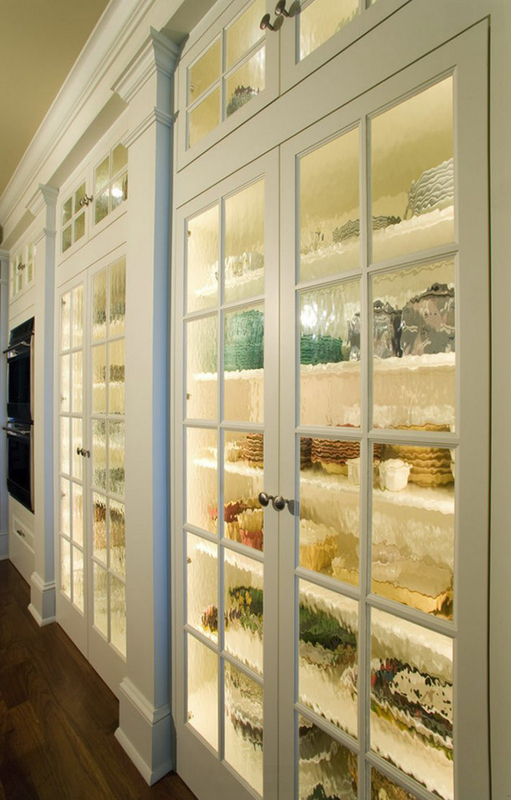 Another great way to use rain glass in the kitchen is rocking rain glass pantry doors, just make lighting inside and you’ll get a cool display!